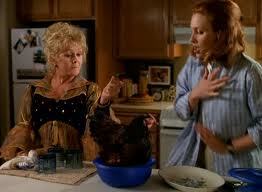 On her 13th birthday, Marnie learns she’s a witch. She discovers a secret portal, and is transported to Halloweentown – a magical place where ghosts, ghouls, witches and werewolves live apart from the human world. But she soon finds herself battling wicked warlocks, evil curses, and endless surprises. SHOWN. PLEASE PROVIDE RBE EXACT DATES. There are a lot of upset viewers myself included that you don’t seem to be showing the Halloween town series this year when we so look forward to them. Shame. Please change that. 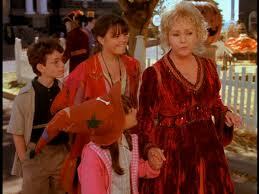 Is halloweentown going to be shown again during October? will there all these movies playing like Halloweentown, Halloweentown kalabars revenge, Halloweentown high, Halloweentown return or Casper meets Wendy? Are halloweentown and other classics only going to be played at 3 am? 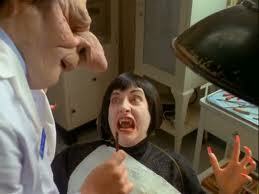 And moms got a date with a vampire?! Sadly, all of the halloween town movies were already played but the rest are being played at 3 am like usual. Although, they might be played in the marathon on the 29th but that hasn’t been revealed yet. 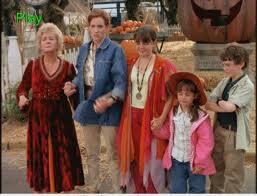 Can you please show the halloweentown marathon again? Please and thank you! The halloweentown series will be played right , not just the first one but all of them? Hi Hailey, yes all are scheduled to air on Freeform (formerly ABC Family). Disney Channel *should* be airing them later in the month as well. Why dont you guys show this movie more then just once? And why is it airing so late? When can we expect to see the Halloween Town marathon be aired in 2018 ??????? When will Halloweentown marathon start for 2018??? Ditto! !look forward to them so much!! I’ve looked for it the last few years and may catch the ending. SO many people want to see the Halloweentown series, that in my opinion it should be aired several times throughout October. I mean, with all of the requests wouldn’t that make sense?